I mentioned this on G+ already, but I figure it makes sense to post here too. 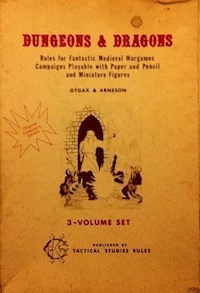 Prompted by this post over at Monsters & Manuals, I became curious about what other people thought were examples of well-written tabletop RPG writing. So I put together a short survey. Click here to take the survey if you have not already and feel free to share. I will probably leave it up for a few more days or a week and may summarize the results on my blog afterwards. This entry was posted in Spotlight on June 25, 2015 by Necropraxis.